"Creating Precious Memories That Last Forever"
Betty Jean Smith 84 of Benton Harbor, transitioned at home surrounded by family in Benton Harbor, MI on January 31, 2019. A celebration of life services will be held on Saturday, February 9, 2019, at New Bethel Baptist Church 2360 Townline Road, Benton Harbor, MI 49022 with visitation starting at 11:00 am followed by services at 12:00. Burial will take place at Crystal Spring Cemetery on Monday, February 11, 2019, at 11:00 am. Betty Jean Smith was born May 21, 1934, to the late Clarence and Belzora Hardin in Marion, Arkansas. She confessed her life to Christ at an early age. She received her academic education at Marion High School and studied Nursing in the late 1960” s. In 1968, Betty was united in holy matrimony with James Smith. 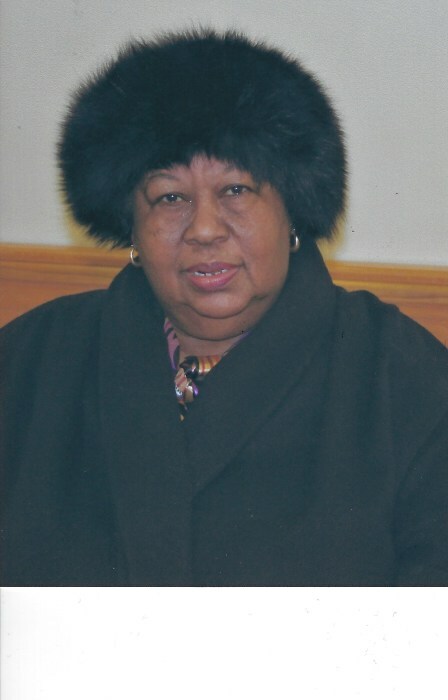 Betty attended New Bethel Baptist Church under the leadership of the late Rev. M. H. Raspberry and the late Rev. Milton P. McAfee. She loved praising the Lord and praying for her family and friends. She was truly a giving person and was known best for being a great cook. She enjoyed quilting, bowling and sharing her wisdom with anyone who was willing to listen. While in the care of her immediate family on Thursday, January 31, 2019, Betty received her one-way ticket to Glory. Betty is preceded in death by her parents, husband James Smith Sr. and five siblings; Leola Cole, Ollie Bell Belcher, Ernestine D. Buchanan, Margie M. Hardin-Simmonds, Clarence Hardin, Sr. and Frank Hardin. Two grandsons, Wesley Smith, and Jason Jordan. Memories of her will be forever cherished by her daughters Mildred Williams, Barbara J. Smith, and Tami N. Smith. Sons, Lemuel P. Hardin and James (Rhonda) Smith, Jr. all of Benton Harbor Mich. Siblings, Vivian Hardin-Wade and Joyce M. DeFrance (Rev. Robert L. DeFrance) both of Benton Harbor, Mich. Dorothy (Nathaniel) Walker, Deborah, Diane, and Angela Hardin. Larry L. (Janella) Hardin and Dereck (Yolanda) Hardin all of Detroit Mich. A host of nieces, nephews, cousins, grandchildren, great-grandchildren, and great-great-grandchildren. God-children; Helen Calhoun, May Williams, Carolyn Word-Yates, Linette Malone, Tony Coleman, and Mitchell Williams.